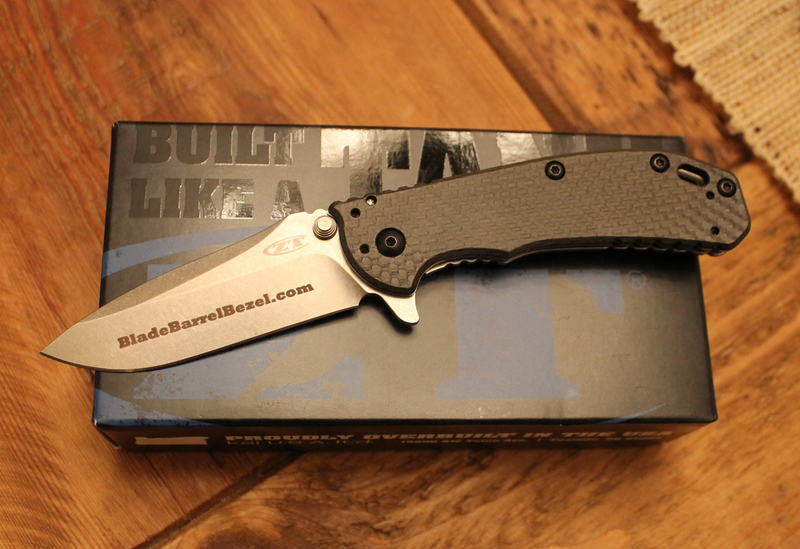 ← Posting Now on Facebook at BLADE Show! If you were following the BladeBarrelBezel.com Facebook page during the last few days, then you saw this photo. 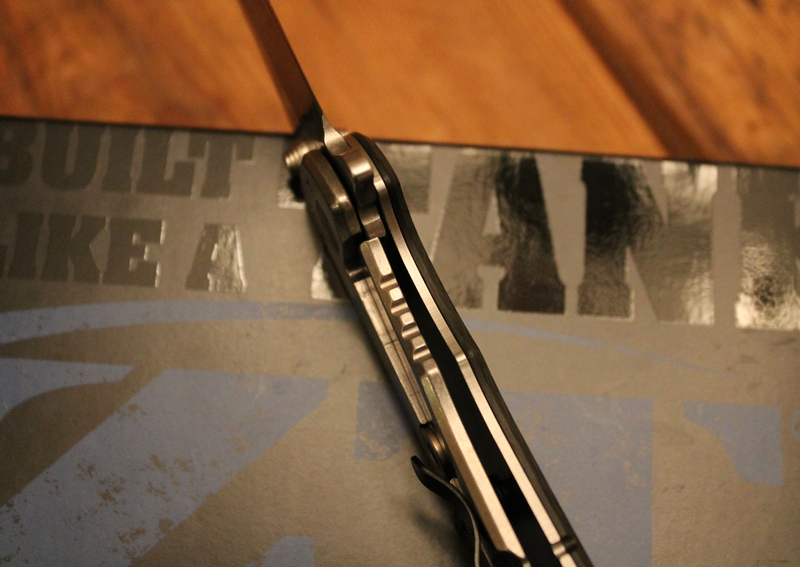 I went to BLADE Show 2015 with an empty pocket. I credit this to hurried packing, not a conscious agenda. Because I “needed” a knife and I was at a knife show, it was akin to being hungry in a deli. Salivation began. At this time, I cannot afford a custom folder. Hell, semi-custom was not really in the budget. The currency in my wallet would have to suffice. A bit less than $200.00 could be spent and still leave me enough to get home. And time was growing short. I had to be on I-75 in under an hour. Fretting began. I circled like an uncertain bird of prey. Then, my mind was made up at the Knifeworks display. I saw decent prices on their wares. Zero Tolerance Knives stood-out. I had pawed quite a few at both BLADE and SHOT Shows. They are upscale, yet obtainable–meaning inside my financial limitations. 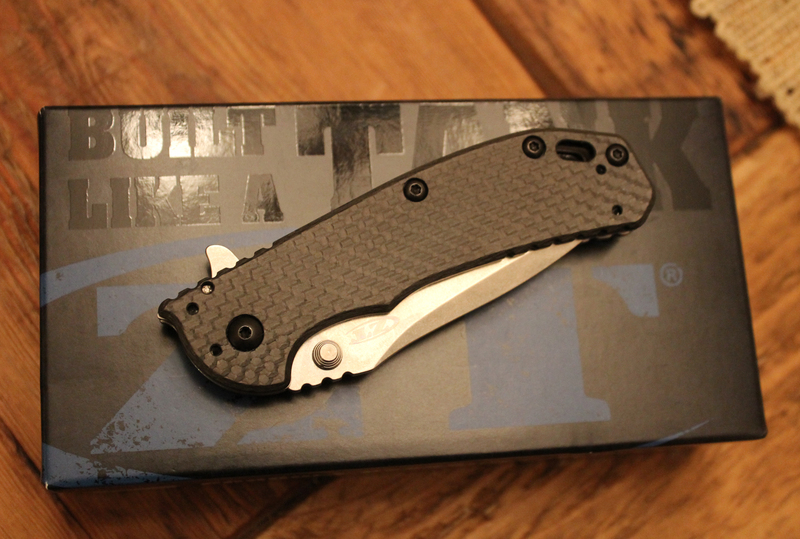 The 0566CF has three things my collection lacks: a flipper, carbon-fiber, and a blade of ELMAX steel. Check, check, and check! Rick Hinderer spec’ed the design. Oh, one other thing made this deal happen. Free laser engraving with every Knifeworks purchase at BLADE Show! I knew what had to be done. A nice lady named Melissa helped me with my order. BBB was going to be etched on the blade. A bold font was close to my logo. Business was brisk at the KW’s counters. Melissa said I had to come back since the laser machine was backed up. Dang it. I hovered around some other tables, but I had to have the ZT and hit the road. When I returned 15 minutes later, no luck. Tick tock, busy people. Shortly thereafter, a girl brought me the knife. I scanned the spelling. Awesome! Did I want it packaged? N-no, it should go home clipped in my pocket. I scurried away, smiling. 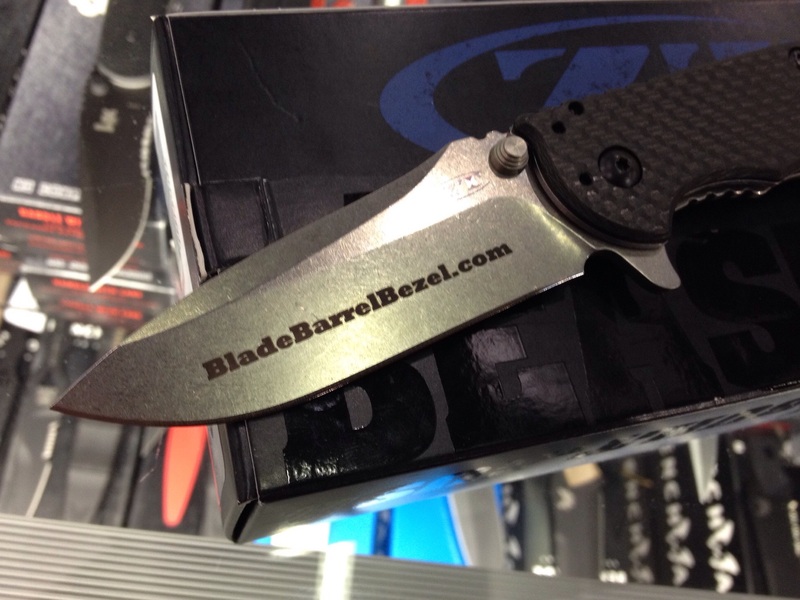 BLADE Show 2015 was very enjoyable. On a short turn-around, I did not see everything I wanted, but I was glad to have made it at all. And I have a little treasure by which to remember the experience. 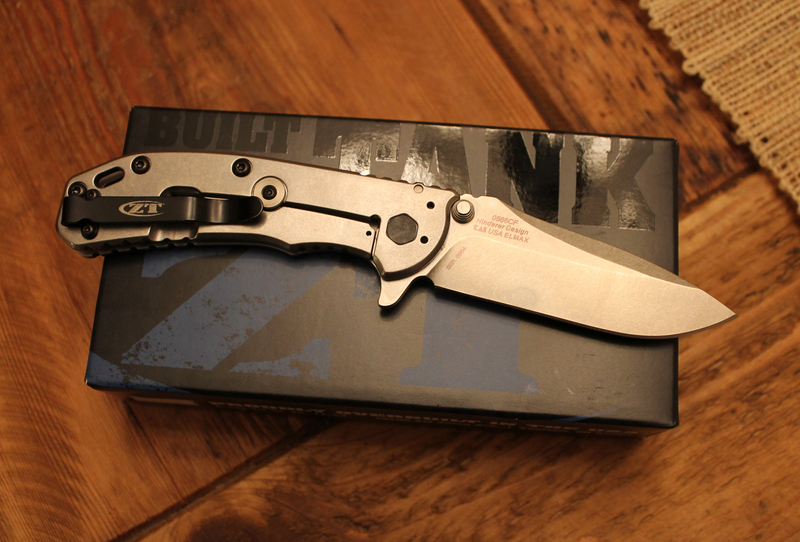 This entry was posted in Knives and tagged BLADE Show, Flipper knife, Folding Knife, Zero Tolerance. Bookmark the permalink.